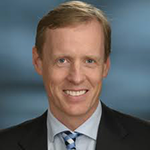 Dr. Black is a Urologic Oncologist at Vancouver General Hospital, a Senior Research Scientist at the Vancouver Prostate Centre, and a Professor in the Department of Urologic Sciences at the University of British Columbia (UBC). He received his undergraduate degree from the UBC and his medical degree from Johannes Gutenberg University in Mainz, Germany. He completed his urologic training at the University of Washington in Seattle and fellowship in urologic oncology at MD Anderson Cancer Center in Houston, Texas. He has a clinical subspecialty interest in bladder cancer. He maintains a grant-funded translational research program in urothelial carcinoma. He is also an active cancer clinical trialist in this field of urothelial carcinoma. Should Variant Histology Change Management of Bladder Cancer? Peter Black, MD, FRCSC, fills in for Ashish Kamat, MD, at the 2nd annual IBCU, discussing why and how clinicians should adapt bladder cancer treatment based on variant histologies. Dr. Black identifies sub-types of bladder cancer and the way gene expression and squamous differentiation play a role in risk-stratifying the disease. He explains the proper management of each sub-type, including MD Anderson treatment algorithms for NMIBC and MIBC. Peter Black, MD, FRCSC, provides an overview of the current Enhanced Recovery After Surgery (ERAS) protocol in the setting of radical cystectomy, recommendations from the ERAS Society, and how the practice increases bladder cancer patients’ quality of life. He also touches upon the possibility of adding alvimopan to ERAS protocol in the near future. 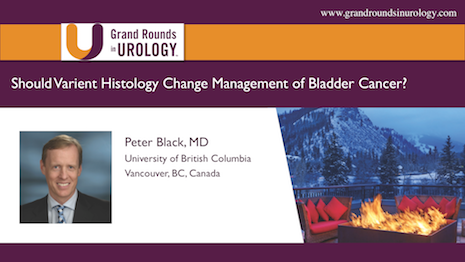 Peter Black, MD, FRCSC, discusses the benefits and limitations of the currently FDA approved urinary biomarkers for bladder cancer. He defines criteria for the ideal biomarker, which would reduce the need for other diagnostic tests, have a high sensitivity and specificity rate, and be cost-effective for patients, as well as the possibility of using biomarkers in place of cystoscopy.